Some 167m hryvnyas have been stolen. 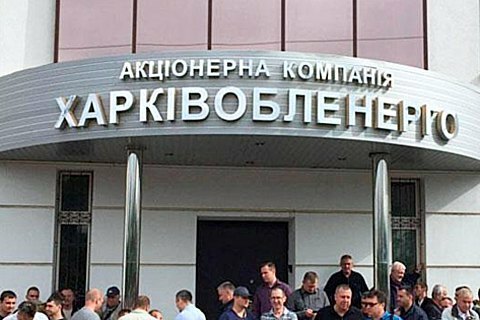 The Prosecutor-General's Office (PGO) on 14 March said that the CEOs of the regional energy distribution companies Cherkasyoblenerho and Kharkivoblenerho are suspected of embezzling 61m hryvnyas [2.26m dollars] and 106.7m hryvnyas respectively. The investigators said that the suspects, in violation of the established procedure, provided loans to other companies as financial assistance. The funds were subsequently recovered via bogus contracts and stashed away in shadow sectors, the PGO said in a statement. The PGO will ask Kyiv's Pecherskyy district court to authorize the arrest of the suspects. The state owns 71 per cent and 65 per cent in Cherkasyoblenerho and Kharkivoblenerho respectively. Minority packages of both companies are owned by companies affiliated with Kostyantyn Hryhoryshyn. A similar siphoning scheme was earlier discovered at Zaporizhzhyaoblenerho, in which the state is the main shareholder, and the Surkis brothers and Hryhoryshyn hold minority stakes.